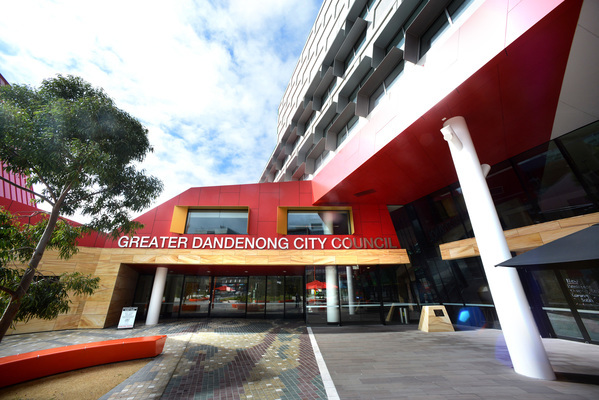 AN IRATE Councillor Peter Brown stormed out of the Monday 8 August council meeting after losing his motion to close the Dandenong Civic Centre car park to the public. “People become sanctimonious because there’s an election coming up,” he shouted. Cr Maria Sampey triggered the eruption by trying to speak to Cr Brown after voting against his motion, which was lost four votes to six. He slammed his fist onto the desk. “Maria, I don’t care,” he said. “You are an A-1 hypocrite. “Don’t come to this council meeting as you do every bloody meeting and complain you can’t get a car parking space. Red in the face, he stormed from the chamber and did not return for the remaining agenda items. Cr Sampey said she was in shock. “I’m not really here. I’m stressed,” she said. Cr Brown said there were 38 spaces available in the free basement car park but two were set aside for people with disabilities, seven were allocated to library staff, and four to councillors. He said that the CEO and directors attended meetings that ran into the night and should have spaces. He said civic centre tenants should be allocated a fair share of the parking and that only four spaces would be left after his proposed distribution. “Lack of commercial parking is further an issue for council in letting its vacant office space on Levels 4 and 5, which if fully let would provide council with ongoing revenues of $280,000 per annum,” he wrote in his motion. Cr Brown said anecdotal evidence was that many car park users weren’t accessing council services. He said he’d witnessed motorists arguing with security guards, refusing to move their cars from designated councillor spaces and subsequently receiving fines of more than $150. “If you spend $100 on an English language program you’ll know how to read the sign and you’ll be $60 better off,” he said. Cr Brown also referenced safety and security concerns. Corporate services director Mick Jaensch confirmed that parking had been a key sticking point in lease negotiations. “Being able to address those issues would help us moving forward,” he said. Cr Sean O’Reilly said the car park was a honey pot. “There are a very small number of spaces and there’s no way of us knowing that the people who need those spaces the most are getting them when they need them,” he said. But Cr Matthew Kirwan said the civic centre was a publicly-owned building for the public. He said many elderly people, in particular, were afraid to park in the street and only attended the civic centre because they could access the basement car park. Cr Roz Blades said she wasn’t a councillor to get a car park. “I’m a councillor to represent the community,” she said. Cr John Kelly said “we’re talking about this because a couple of councillors can’t get a spot”. “I don’t park in there. I park in the street,” he said.